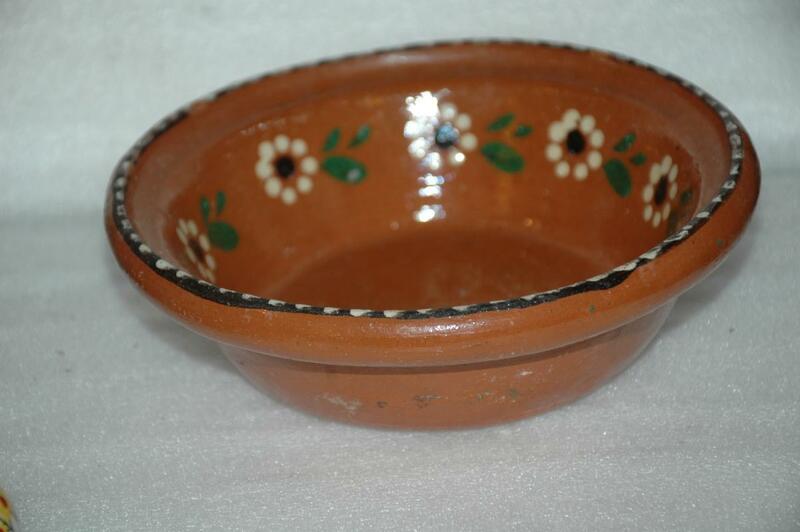 Old 1940s Puntillado Tlaquepaque Mexican Clay Pottery Bowl in excellent condition. It is 6.25" across and 2.5" tall. The is hand pained with enamel paint with pretty white flower with black center with green leaves. The rim is dark brown and white. The bowls flares out to make for an easy hand grip. 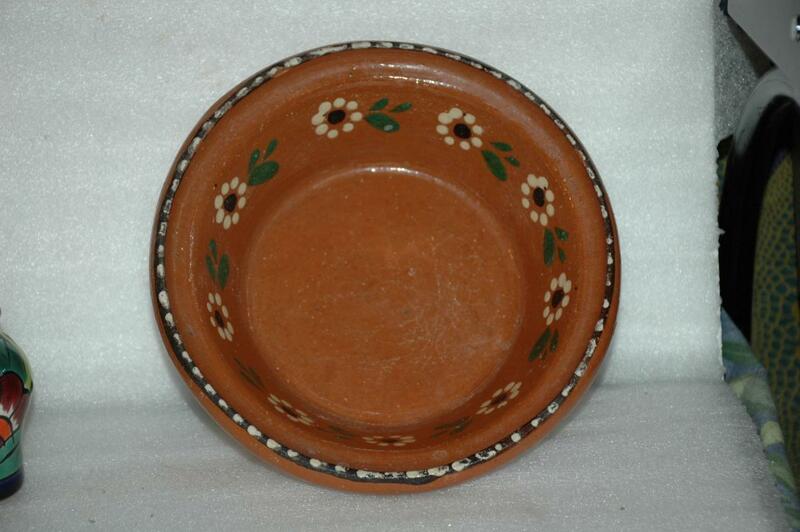 Is is not signed but that is the norm for these very old hand crafted pottery pieces from Old Mexico. 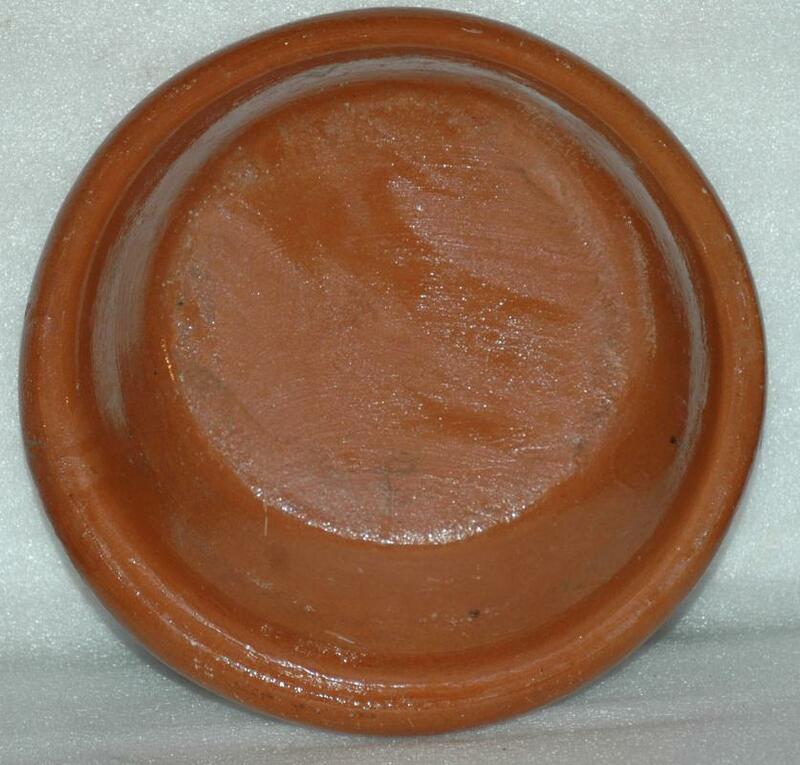 Items Similar To "Old 1940s Puntillado Tlaquepaque Mexican Clay Pottery Bowl "